After the first five games, it is clear already that some of the boys will not be able to match the men, while we all know it is too early to judge the marathon, there are obvious indications that the race is strictly between three teams while the other three jostle for the final spot for champions league. 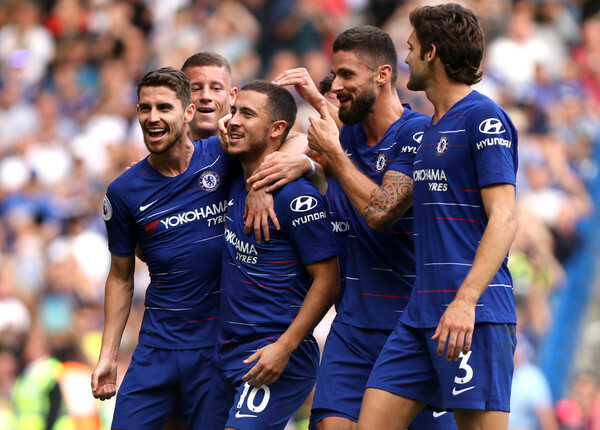 Chelsea have blown their way to the top, it was hard against Arsenal, losing a two goal lead, but they hustled hard to bounce back and earn victory late on, same way they labored to victory at Newcastle, it wasn’t pretty against Bournemouth as they had to leave it late again, but one thing is constant, identity. The Chelsea of old was used to robotic football, aerial and long balls to a target man, except for moment of individual brilliances from Eden Hazard and Willian, this team has everything needed to beat anyone, they press hard, drain the opposition and hit you hard. Marcus Alonso and Ceazer Azpilicueta both maraud the flanks and pin opposition wingers back, these are traits of a team that doesn’t give much away, and with Olivier Giroud now seen as the marks man, it won’t take long before they create a daylight between them and the chasing pack. 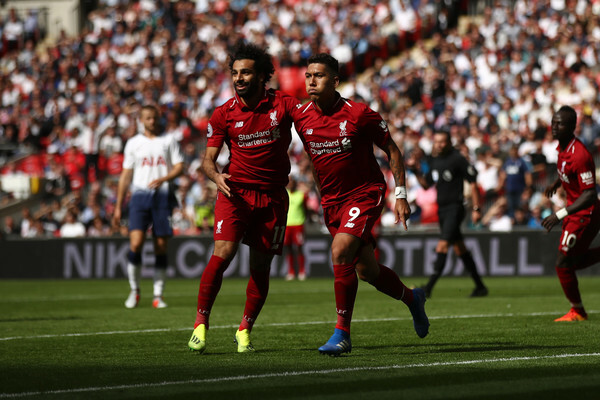 Liverpool have won five out of five for the first time ever, what a way to do it too, against Tottenham at Wembley, there is a major concern about Jurgen Klopp’s men however, they always allow opposition back into the game late on, they could have dropped points at Palace, to Brighton as well as Spurs as they always lose steam and take feet off the pedal in the second half; after Allison’s gaffes at Leicester, they couldn’t hold things together and were lucky to leave KP Stadium with three points, that said, they are genuine title contenders, their front trio of Salah, Firminho and Mane aren’t really firing yet, Salah hasn’t found his form of last season, Firminho is beginning to tick but the nasty eye injury off the Vertonghen incident is likely to keep him out for a while but Sadio Mane is carrying the bunch while others wait to find rhythm. The signs are there, Gomez has done brilliantly alongside Van Dijk, the full backs are up there with the best in the league and the midfield trio of Wijnaldum, Keita and Milner all put in fine shifts, is this their year? Manchester City needs no introduction, while they will put all eggs in the champions league basket, expect them to still molest teams in the premier league as well. They were stunned by Wolves on match day 3 which has taken two valuable points from them, but that takes absolutely nothing away from their pedigree and ability to beat anyone anywhere. Manchester City manager, Pep Guardiola doesn’t think his team are favorites and he doesn’t feel anyone is not at this stage, in fact he believes it’s not clear until Christmas, frankly speaking, his side doesn’t look fearsome like last term but they still get results effortlessly. Their last victims, Fulham gave everything and were only lucky to keep the scoreline at a respectable 3:0, it could have been 6 or 7 on other days; Sergio Aguero isn’t really firing yet, despite hitting three past Huddersfield, he hasn’t really hit that devastating form he’s known for. 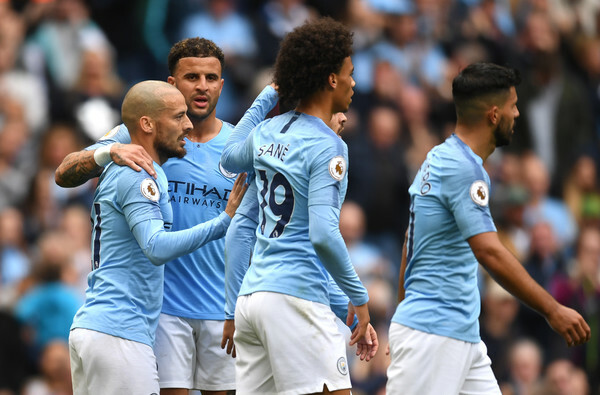 Leroy Sane marked his return to the starting line up with a goal just within two minutes, Riyad Mahrez looks a misfit, with Sterling who hardly shares, it’s unhealthy to have another super selfish forward in a squad like City’s.